Non-rotary pliers are best for simple application of hackles to flies. These hackle pliers hold and grip hackle great. 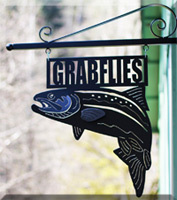 Grabflies.com uses these pliers for its Steelhead and Salmon flies.